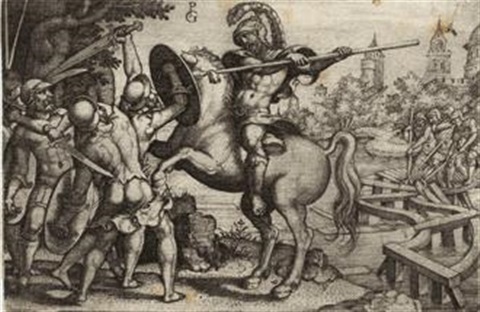 Hoartius at the bridge is the tale of a brave Roman Army Officer Publius Horatius Cocles, who selflessly fought for his country against King Clusium’s Army. In 509BC king Clusium’s Army marched to the city of Rome, there was a bridge above river Tiber that needed to be crossed by the enemy. The defenders first sent a small army to fight the enemy, who were brutally crushed. 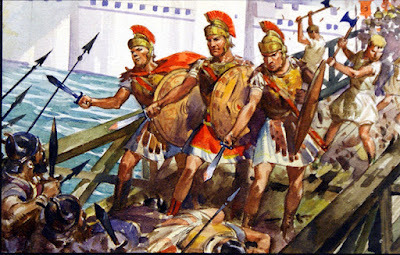 The enemy started advancing toward the bridge, when Horatius a minor officer understood the plan of the enemy and took permission from the consul(leader) to defend back the bridge along with 2 more soldiers (Spurius and Herminius volunteered) from his Army. People were in utter shock and started praying for the three brave soldiers who were to fight hundreds and thousands of enemy soldiers. The fight was furious, the brave three were heavy upon the enemy and fought valiantly although heavily injured they continued the fight. But soon two of them other than Horatius decided to step back due to injuries. Now Horatius was fighting alone, his native people were praying and shouting at him to evacuate back to safety, but he didn’t. Soon Horatius ordered that the bridge be broken, leaving Horatius and enemy on the other side, so that the attack becomes impossible; Horatius refused to revert back and the bridge was broken, all eyes were on Horatius as he had bravely defended his people against the enemy but was left alone on other side still fighting. Horatius realised he had done his job and took a very bold step. 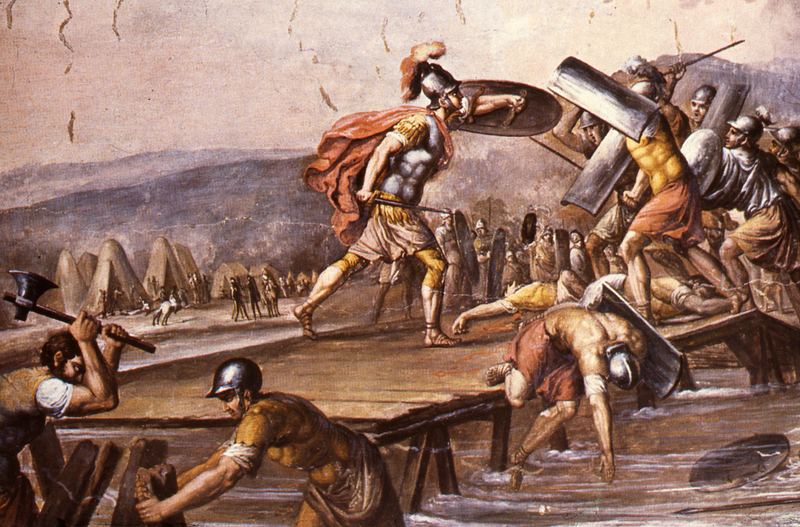 He jumped in the highly raised and ferocious river Tiber, even the enemy was awestruck. With heavy armour and weight he continuously went down to drown then again used to rise and breathe, his people started praying to the river for his life. 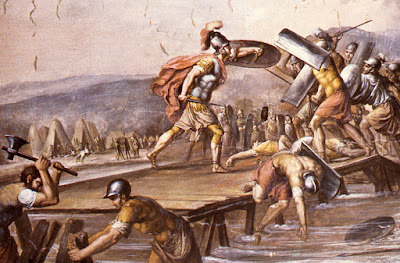 But all of sudden he vanished in the river, even the enemy officers started praying for the brave Horatius as they had not witnessed a man so powerful, determined, selfless and above all- extremely brave ; minutes passed and it was assumed he’s dead. 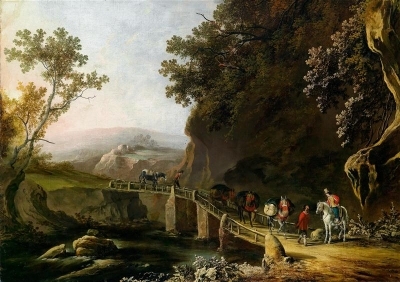 Miraculously he reappeared on the other side of river, he was immediately taken for treatment and celebrations began all around as he survived. 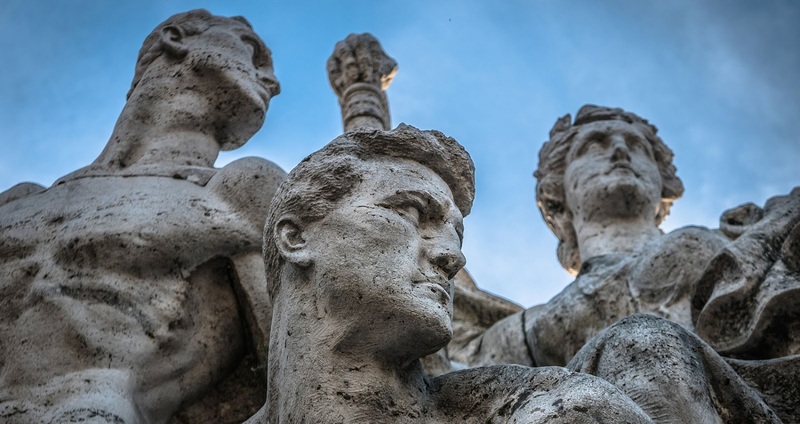 He was awarded for his bravery and his statue was made in the middle of the city that still stands praising the gallant of the brave Horatius. Here is an excerpt from the poem ‘Horatius at the Bridge’ by Thomas Babington Macaulay written in the 1830s while serving in India in the English government.